Kaficko is a Pinterest-worthy cafe that has a larger than life Scrabble board, which forms part of the gorgeous decor. With proper Kinfolk vibes and bookshelves, it launched an all-new breakfast menu and the best part? It is served all day long. Naturally, we decided to check it out and picked The Borough Full English and Mushroom & Feta Cheese Omelette. We asked for an extra side of mushroom and polished the omelette to bits. It came along with grilled tomato (yum), potato wedges (this has to be improved), and toasts. 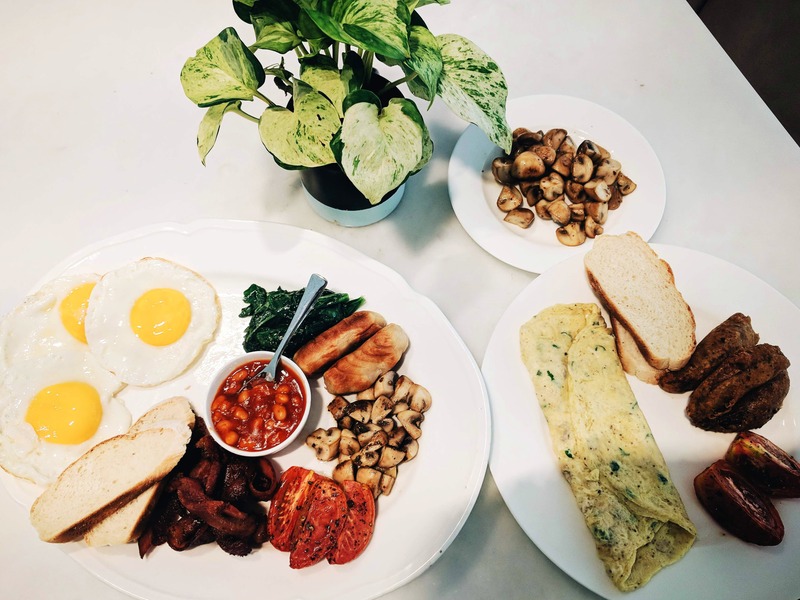 The English breakfast was a large meal where you can order your eggs to be made and it comes with chicken sausages, crispy bacon, baked beans, greens, and sauteed mushroom. Breakfast of champions, this one can be shared between two. But if you believe in large breakfasts, chow down on your greens and meat. Finish up with a French Press or smoothies like kale, peanut butter, and you are sorted for the day. Plus, they have awesome lunch and dinner options like Kale Salad (the best out there), risotto and even high tea. We have always liked the French Press at Kaficko, but it was a let down as it was too sweet. Maybe it's a one time mishap? We will try again and let you know.